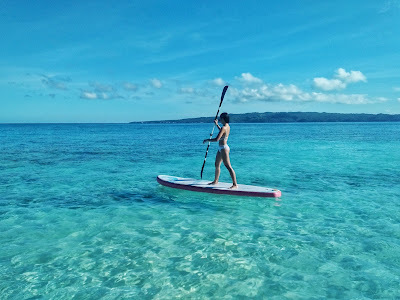 Panay Island is situated at Western Visayas which houses four provinces namely Aklan, Antique, Capiz and Iloilo and the home of the famous Ati-Atihan Festival. 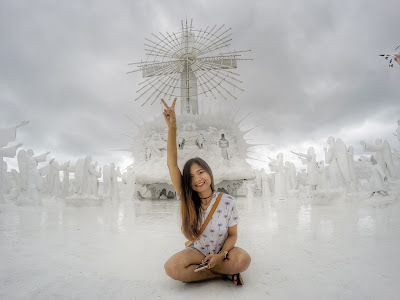 Its attractions will sweep you off your feet and make your hearts skip a beat for it is a home of various astounding must-see spots not to mention the renowned fine white sand beach of Boracay. Just this year, I was able to see some and I'd say I'll be back for more. Backpacking wasn't the original plan at all. Initially, we were only supposed to visit Boracay. But then, that was three days off and Antique and Iloilo were just out there. With that, the 3-day beach bumming was turned into three thrilling days of backpacking in Antique, Iloilo and Boracay. If there's one thing that you shouldn't miss in Antique, it's the Kawa Hot Bath in Tibiao. When we safely landed, we went straight to the van terminal and headed to Tibiao. 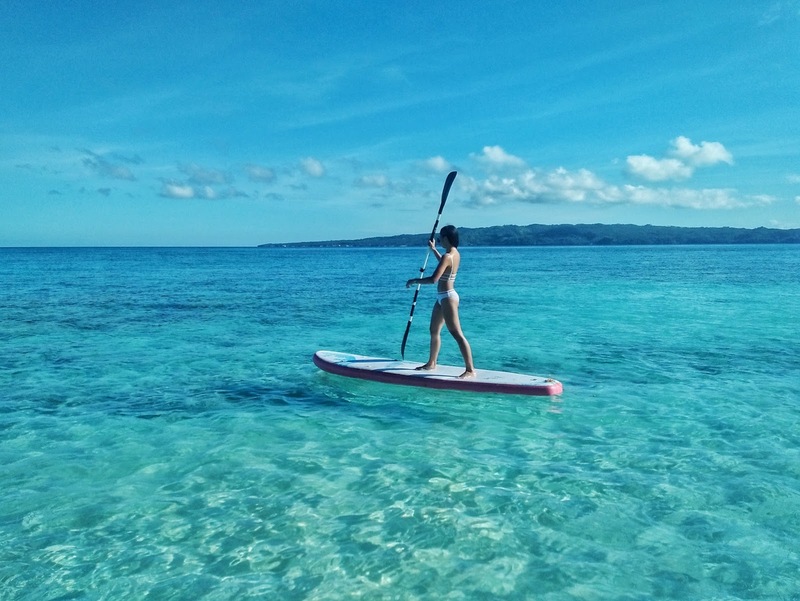 It's actually a two-hour drive from Caticlan. We alighted at Brgy. Importante and took a 10-minute habal habal trip for only 70php per head. We stopped at a registration area and paid 20php. From that point, it would only take you 3 minutes to Kayak Inn. Signal for all networks is quite poor in that area so might as well inform the habal driver as to when can they pick you up. If you are to stay for only an hour or two, they would really wait for you. 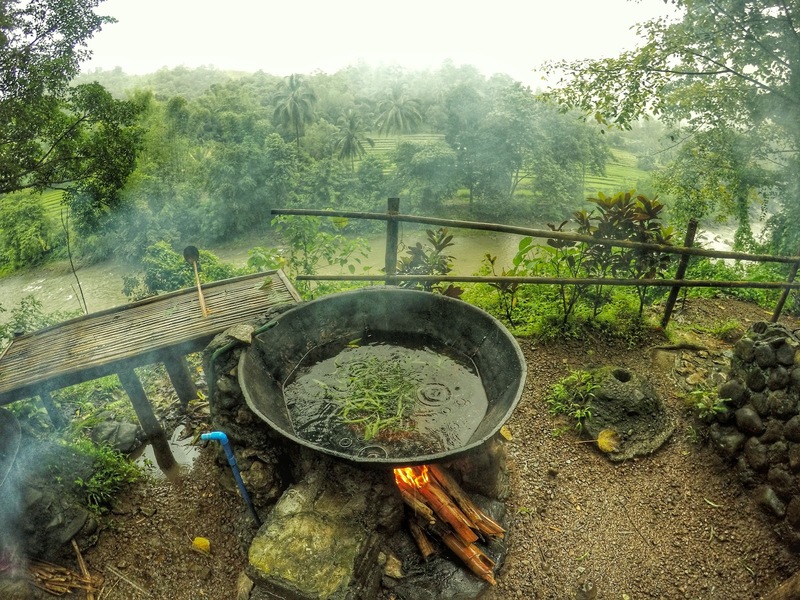 It was raining so hard when we arrived at Kayak Inn - quite a perfect time to warm our bodies with the kawa hot bath. The bath costs 250php and it takes 20-30min to prepare. You can enjoy it for 30-45min. But if there won't be much guests during your visit, you may stay there for as long as you want. Since the rain was extremely heavy on that day, we didn't get to visit the other attractions in Antique. From the arch of Barangay Importante, we waited and got into a bus straight to Iloilo. Since our friend who was with us has relatives in Jaro, Iloilo, we visited them and stayed for the night. It was a 5-hour drive from Tibiao to Jaro. When we arrived, they gave us a warm welcome and offered us a sumptuous dinner. After that, we retired for the night. We got up as early us 5am for we don't wanna miss what Iloilo has in store for us. 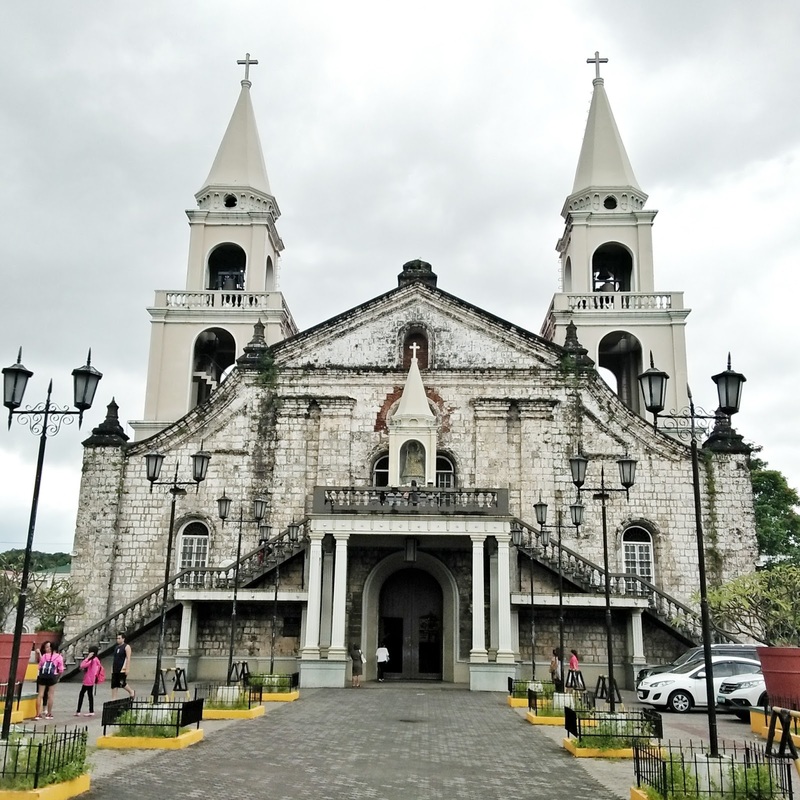 We said our goodbyes to the family and went to Jaro Cathedral which was just a few meters from where we stayed. From Jaro Cathedral, we walked our way to the market where we can ride jeepneys to San Joaquin where Garin Farm Pilgrimage Resort is located. It was a 2-hour drive from that point. We passed by a lot of interesting points from Jaro to San Joaquin. 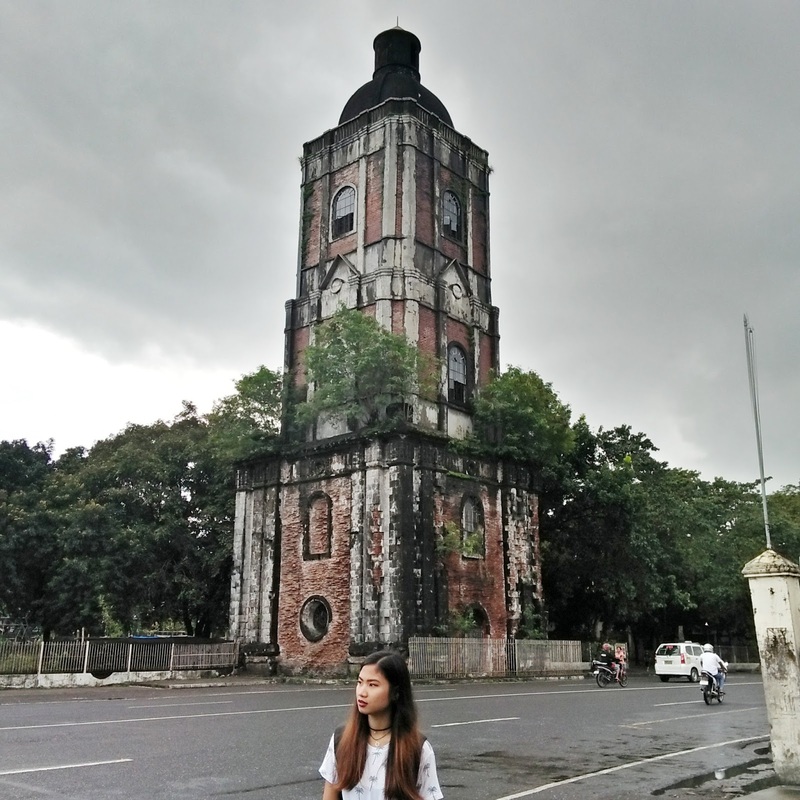 There were old infrastructures like cemeteries, churches and the University of the Philippines-Iloilo. We alighted at a tricycle terminal at San Joaquin, got into one straight to the resort for 10php per head. We didn't waste time and chances upon our arrival to Garin Farm. We roamed around and got a feel of the place. P.S. You should try the cream horn at the souvenir shop outside Garin Farm. It will send rainbow to your taste buds! It costs 19php per piece and 180php for a box of ten. They also have other souvenirs such as shirts, refrigerator magnets, key chains and others. From there, we took a tricycle back to the highway where we waited for van/bus to Caticlan. After 30min of waiting, we chanced upon a van which was a good thing because it's faster than buses. Fare is at 250php. We headed to Caticlan and it took us 4 hours. We left San Joaquin few minutes before 12 and arrived at Caticlan Tabon port past 4pm. We just had our lunch in the van. Upon our arrival, we went straight to Tabon Port. We bought boat tickets and paid the terminal fee amounting to 25 and 100php respectively. We then headed to the boat. We sailed for 15minutes to Tambisaan port of Boracay Island. From that point, we took a tricycle for 150php straight to W Hostel in Station 2. 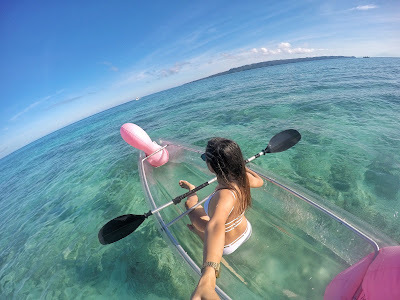 Time is quite precious as well as our visit so upon our arrival at Boracay and to the hostel at around 5:30pm we had our dinner changed to our swimming attires and headed to the beach. We really didn't dare miss the chance to feel the fine white sand beneath our feet. We spent quite some time enjoying the night life in Boracay and felt alive as we listen to and jive with 1lovetribe's percussions in Hoy Panga Boracay. We stayed their for long mindless of the time. 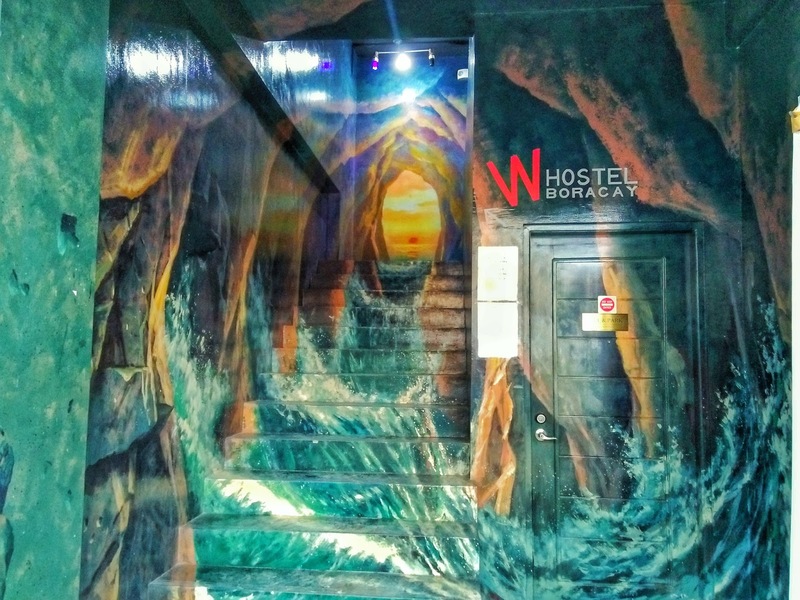 When weariness took over us, that's when we returned to our hostel to hit the hay. 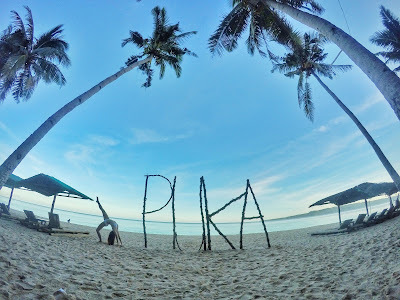 We all woke up at 5:30am changed to our swimming attires, packed our beach and photography essentials and headed downstairs to get a ride to Puka Shell Beach since it's quite far from where we were. We chartered for a tricycle for 150php. It took us 30min I guess to get into Puka Shell Beach. 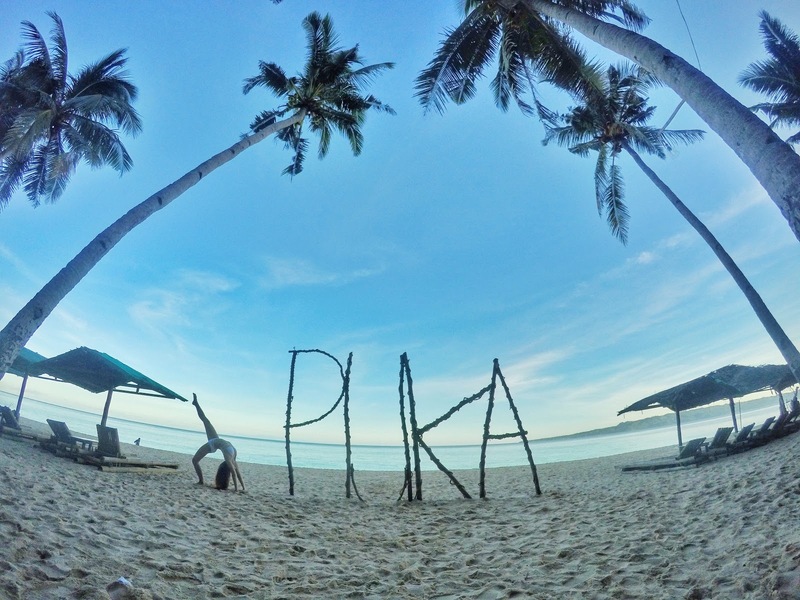 After an hour or two, we left Puka Beach and headed to W Hostel for our free breakfast. The squad freshened up a bit and joined the beach bummers in Stations 1 and 2. Since our flight is at 3:30pm, considering the travel time from the island to the airport, we headed back to the hotel at 1pm to wash up and pack up. We left Boracay via Boracay jetty port and hopped into an air-conditioned ferry through oyster ferry shipping line. We paid around 225php including the van transfer from Cagban Jetty port to the to Godofredo P. Ramos Airport. Luckily, we arrived just when the check in counters for our flight opened. There were four on us in the trip and our expenses vary from one another depending on how much we spent on food and souvenirs and other stuff. I don't drink that's why I kinda saved a little. This was the first time I've done backpacking and I'd say I'd plan for more! It was quite extreme, and some may say, yes, tiring; but the sense of fulfillment, most especially when you get to see those attractions, is at its finest! you may want to follow these awesome people, too.